Facial Feminization Surgery refers to a collection of cosmetic and feminization procedures that are designed to provide a more feminine appearance of the face and neck. The selection of procedures is completely customized for each patient based on their transition goals. FFS has helped thousands of trans women look—and feel—more feminine and more beautiful. Also referred to as Scalp Advancement, this is a procedure that moves your hairline forward, which can significantly feminize the shape of your face and make you look younger. Dr. Rumer makes a temple-to-temple incision along the front of your hairline, and then advances the scalp in places where it has receded. The fine incision follows your hairline and fades after surgery, leaving a natural-looking result. Considered to be one of the most effective FFS procedures to feminize the upper face, a Brow Lift moves the eyebrows to a higher, more female looking position. The procedure is performed by lifting the skin of the entire forehead (also know as Forehead Lift). Some women have a prominent forehead bone and the removal of excess bone combined with reshaping of the bone can dramatically transform a masculine looking face into a feminine looking face. The procedure may use a combination of approaches to achieve final results, such as bone shaving, filling and reconstruction. Orbital Rim Contouring addresses the bones around the eyes, removing the orbital ridge and bringing out the eyes to maximize the feminine look of your face. Dr. Rumer is able to access the orbital rim through a thin temple-to-temple incision in front of your hairline which fades nicely after surgery. Also known as Blephoroplasty, Eyelid Surgery helps your eyes look younger and brighter by addressing drooping upper eyelids, fine lines and wrinkles, and puffy skin under the eyes. Very fine incisions are made in the natural folds of the eyelids, excess fat and/or skin is removed, and very fine sutures are used to close the incisions, resulting in a naturally younger looking face. Cheek Augmentation is a FFS procedure that can be done with fat grafting alone or a combination of grafting and cheek implants. Cheek Augmentation not only provides a pleasing “apple of the cheek” contour, but also adds sensuality to the eyes and decreases mid-face height, which is longer in men. The final result is a more beautiful and feminine shaped face. With the nose as a central focus of the face, Rhinoplasty is a procedure that is very key in Facial Feminization. Men’s noses are typically longer, wider, and overall larger than women’s noses, which are usually narrower, shorter, and slightly concave. Men’s noses are also angled downward versus upward like women’s. Rhinoplasty surgery changes the shape and size of the nose by modifying the underlying bone and cartilage, removing tissue and altering the angle of the tip of the nose. Done by a skilled surgeon, FFS Rhinoplasty can have a big impact on the femininity of a woman’s face. 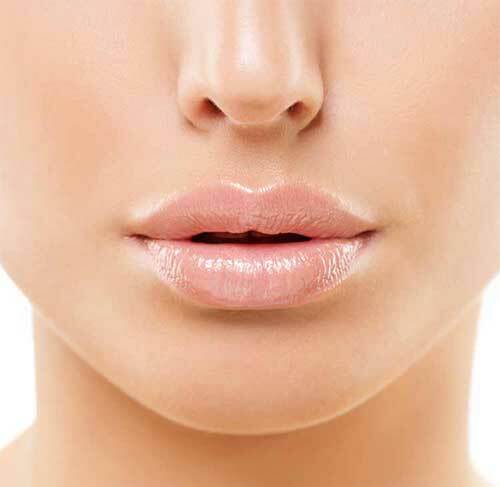 An Upper Lip Lift is a procedure that is complimentary to Rhinoplasty. When the nose is made smaller through Rhinoplasty, this tends to increase the distances between the upper lip and nose. A small incision under the nose allows Dr. Rumer to reduce that distance, restoring balance to the nose to lip spacial ratio of a woman’s face. Chin Reduction or Recontouring transforms a wider, flatter, longer and more square male-looking chin into a narrower, more pointed and shorter chin more typically associated with females. Chin implants can also be used to achieve more forward projection of the chin, also more common among women. The overall affect can dramatically feminize a woman’s face. The Neck Lift and Face Lift procedures are used to bring out a younger, more feminine appearance of the face. These procedures are also a good option for women who have loose facial skin as the result of other FFS procedures that removed and/or reshaped facial bones. While Neck and Face Lifts are typically identified as anti-aging surgeries, the features of the aging face can be fairly masculine in appearance making these procedures an important part of the FFS spectrum. The neck of a woman is characterized by its length and lack of a prominent Adam’s Apple (thyroid cartilage.) Removal of this cartilage is called a Tracheal Shave or Adam’s Apple Reduction. The result of the surgery is consistent: an elegant, feminine-looking neck. Not sure about which Facial Feminization Surgery procedures are right for you? Not to worry! During your consultation, Dr. Rumer will listen to your objectives, evaluate your face and neck, and make a recommendation about a surgical plan that will help realize your goal.